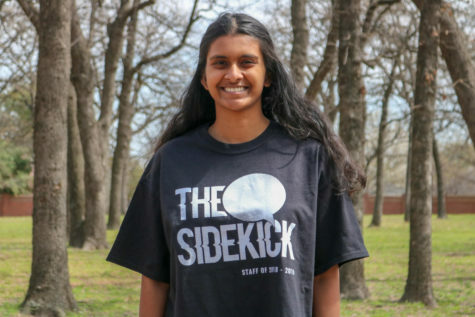 Many Asian students at Coppell High School and around the nation face academic stereotypes based on their ethnicity. 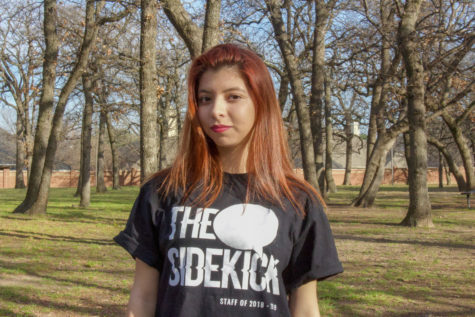 The Sidekick Copy Editor Pramika Kadari discusses why these stereotypes must end. I am Indian, and I am not enrolled in six AP classes. 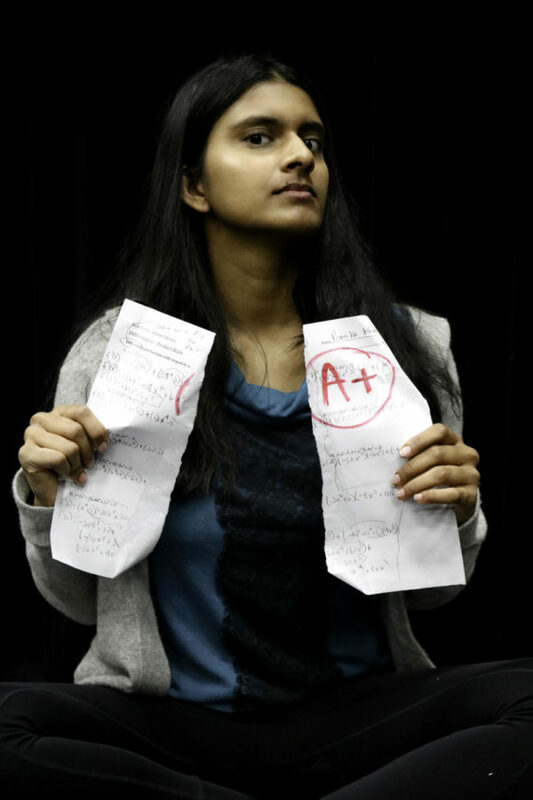 I am Indian, and I did not score well on the SAT my first try. I am Indian, and I struggle so much in calculus that I study for hours outside class just to understand basic concepts, because I cannot keep pace with the teacher’s lectures. Throughout my life, solely due to my ethnicity, people have often assumed I am extremely academically intelligent. We have all made “smart Asian” jokes before, including myself, but joking aside, the stereotype can do more harm than good and needs to end. During my history class in freshman year, after my classmate found out my grades were imperfect, she was surprised. According to her, I “seemed like the kind of person who would have amazing grades … even more than most Indians.” Her words and the tone she said them stuck with me, punching me with a feeling of disappointment, as if I was not living up to my potential or people’s expectations. For some reason my academic intelligence is one of my biggest insecurities. As much as I hate to admit it, I’m afraid of falling short of people’s assumptions; but I should not have this fear, because people should not be making these assumptions in the first place. There are two versions of the “smart Asian” stereotype: the first describes someone who obsessively studies every minute of every day, while the second describes someone who is naturally a genius and has no need to study. Neither describes me, and both hurt me. I consider myself a passionate person. Much of my time is spent reading, watching films, speaking with friends and writing both creatively and journalistically. I will never apologize for getting sucked into a well-written book instead of spending a few extra hours studying for my AP exam. I do not devote myself to my GPA, and I do not want people to see me that way – as someone who has no interests outside memorizing trigonometry formulas. At the same time, my grades are still important to me, which drives me to work hard in school. When people assume I do not need to study, my effort feels brushed off. Earlier this year, a peer complained AP U.S. History would be so much harder for her than it was for me when I took it last year because I am “naturally really smart”. But I have never put more work into a class than I did into APUSH. Boys are not always messy and loud. Girls are not always obsessed with their appearance. And Asians are not always either lazy geniuses or study-addicts. We are not clones of each other, we are humans. I relate to this story so much!! Great job Pramika!! Let me introduce myself, I am Saira, I graduated from CHS almost two years ago and I can totally relate to this write-up personally. I was in the same boat as well, I did not take an 5-6 AP classes and I’m not against to those who do. I love that you are branching out your interests while you’re in high school, I myself did the same thing, I did numerous clubs while I was at CHS, I too had to work extra hard than most of my peers. I still feel the same way at NLC, where I feel I have to twice as hard than my friends and other peers. Thank you again for this amazing write-up, you have great things coming your way. Thank you for reading, Saira! Nicely written, Pramika! Your sincerity comes through in your writing. I am sure you will go on to do great things in the future. My best wishes to you. There are Two Halves to Success. Thank you Charlotte! I’m sorry people underestimate you, that’s probably more frustrating. You are one of the hardest workers I know! I feel you my parents forced me to take 7 AP classes and it is killing me every day. I have all A’s, but it is not good enough for my parents. And I am considered a nerd everywhere I go. Amazing story Pramika! I related to this story on a spiritual level, thanks for advocating for us. As of August 2018, almost half of Coppell ISD students are “Asians”: https://www.coppellisd.com/domain/41 We all, students, parents, teachers, and administrators need to work together to minimize all stereotypes, both positive and negative, about all kinds of ethnicities. Coppell ISD is now the nation’s one of the top three ISDs with such a “diverse” student demographics and can be a role model if we can learn and work together to make our school district a place where all students can manifest their full potential. 1. The preconception that Indians are smart isn’t necessarily a bad thing because it shows that Indians work hard and are able to acheive things at a high level. The “smart Asian” stereotype does not specifically cause damage to any individual, but rather augments the general view on an entire ethnicity. The story which you have provided clearly does not apply to many of my friends and me because we feel that having this so called “smart Asian” image pushes us to our limits and brings the best out of us. Your use of anecdotal evidence does not apply to everyone and you have provided no statistical evidence behind this. 2. You say that you watch films, read books, and speak to friends. Are you implying that “smart Asians” don’t do this? Well, I have seen many “smart Asians” do all of these things and manage their school workload while pursuing their passions. So many Asian kids do extracurricular activities like music and sports but are still able to keep up with their academics. The pressure of a “smart Asian” stereotype doesn’t seem to get to them. 3. The stereotypes you provided are also very false. As I previously stated, there are so many students doing various extracurriculars and not studying all day.” If you think that someone is simply a genius, you are wrong. There is some level of talent involved in everything, but everything takes hard work so don’t discredit those who do put in the work. Even though you didn’t put in any statistical evidence I will. 70% of Indian Americans aged 25 and older had college degrees in 2010, by far the highest rate among the six Asian-American groups studied and 2.5 times the rate among the overall U.S. population. I don’t think that is based on luck. 4. If you are making the choice not to focus on your GPA and academics as much as others, that is your choice. Do not try and say we have to end these stereotypes, because it is a positive image for people of our ethnicity. There are certain countries that are good at soccer like Brazil and Germany. I don’t see anyone saying that people should stop saying that they are generally good at soccer. I respect your decision, but don’t discredit the hard work of so many Asians who aim to excel at academics. Let’s be real, being educated is essential and the world is getting more and more competitive so what is wrong with studying and being smart? 5. I noticed you had some grammatical errors towards the end of your article. If you claim to write so passionately, you might want to exert that passion into your editing. I completely agree with you…these stereotypes should be completely abolished because when you make good grades,it’s because of the hard work you put in not your race…it doesn’t matter because every one is smart in their own way and stereotypes just limit our thinking and our society. Thank you Pramika! A well written article about something we all think of but never admit it openly. I believe parents are equally responsible for this misconception to begin with. Every Asi as n child is forced to get into GT programs, they are sent to coaching classes as young as KG and 1st grade to get into GT program which really beats the purpose. The pressure starts right in elementary school to be the best, to rank at the top, the enroll in GT clssses, AP classes and so on. I agree, I think many times parents are a big factor. Thank you for reading! Probably you need to spell achieve correctly. But that’s secondary. You need to identify yourself by your unique abilities, not as a part of a herd of “Smart Asians” You have an inflated image of “Smart Asians”. Remember you are first generation Asian Americans, children of college graduates who are successful in their careers either as Software Engineers or Doctors. You are already starting off at an advantage as compared to an average american student. Your parents are economically better off than average american parents. So it’s not surprising that majority of you go to college. There is nothing like “Smart Asian”. Given the right circumstances, resources and opportunities everyone can be a “Smart XYZ”. Ethnicity is not a factor in you being smart. It is most likely that your parents drive you nuts by pushing you to be an Ivy league “Scientist, Engineer or a Doctor”. They pay exorbitant amounts for your Kumon classes/ Private tutors, Piano lessons, Swim/Tennis lessons, dance lessons, internships, temple volunteering and a million other things to get you to where you are. Trust me, nearly 95% of your fellow Smart Asian classmates do not belong in that GT class or AP class. Nature can’t produce 6000 gifted Asian students in a five mile radius of Coppell School District. You come from a privileged family as compared to an average american family. Your family most likely makes more than twice the income of an average american family. So there is no comparison between the opportunities and resources that are available to you and an average american student. Most Smart Asians are average students given extraordinary amounts of resources and help. Above all you are pushed to do things you really dont enjoy. So there is no reason to feel you are above everyone else. Majority of students feel the pressure of Smart Asians from their community, parents or auntiji’s around. The unhealthy focus on GPA has to end. Not only does it pressurize students to enroll in courses they don’t enjoy (not capable of handling) but do it just for grades, it also encourages academic dishonesty which is rampant (an interesting topic for another day). “Smart Asians” do take up extracurricular activities and manage their school workload but there is “NO PASSION”. They do it to make themselves look “well-rounded” on college applications. That is why even with 50% Asian population we have so few successful Asian athletes, theater artists,or musicians in our schools. We have a disproportionate bunch of Asian Valedictorians, Salutatorians and National Merit Semi-finalists, BPA winners, UIL winners etc etc. Pramika does not discredit hard work. In fact her hard work is overlooked with an assumption that things come naturally to her. That is the purpose of her whole article. I admire her for identifying her strengths and shortcomings early on. “Smart Asians” like you are told that you are flawless perfect intelligent beings. That is why, even with 75% college educated “Smart Asians”, you barely find proportionately successful Asian entrepreneurs, nobel laureates, scientists, athletes. You are not smart because of your ethnicity. It needn’t be a race for everything. You can shine bright in anything you do without dimming the light of others. There is room for everyone to grow. Thank you for reading my article, and for your support! Your response contained a lot of interesting points! That was a very broadminded and bold step to share your perspectives on racial ethnicity. Thank you for making others realize that the so-called ‘homogeneous’ Indian society is actually different. Amazing article! Relates to my life as well. Thanks, Pramika, for supporting a million Indians’ point of views. I Loved this article! So well written and seems to have really sparked an important conversation especially at such an academically competitive school like Coppell.